Pininfarina announced yesterday that it has signed a Standstill Agreement with its lender banks meaning that the banks will not to demand the repayment of outstanding indebtedness while Pininfarina will continue to pay the accrued interest. 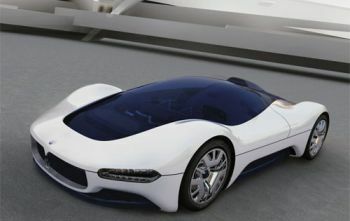 Pininfarina S.p.A. announced yesterday that it has signed a Standstill Agreement with its lender banks. Pursuant to the agreement, the banks will not to demand the repayment of outstanding indebtedness, while Pininfarina S.p.A. will continue to pay the accrued interest on the stipulated due dates. The Standstill Agreement was signed in preparation for the agreement to reschedule/refinance Pininfarina's debt exposure, which is currently being negotiated. It will be in effect until September 30, 2008 or the date when the abovementioned debt restructuring agreement is signed, whichever comes first. The Standstill Agreement was signed by all of the lender banks with the exception of Fortis Bank, with whom Pininfarina executed a separate agreement on June 25, 2008. Also yesterday, Pininfarina S.p.A. retained the services of BNP Paribas, UniCredit Group and Banca IMI S.p.A. (Intesa-San Paolo Group) for the purpose of promoting, as Joint Global Coordinators, the establishment of a consortium to guarantee the placement of the contributory capital increase that the Extraordinary Shareholders’ Meeting of April 29, 2008 authorized the Board of Directors to carry out. At present, assuming the requisite authorisations are secured and subject to the signing of the abovementioned debt rescheduling/refinancing agreement, the rights offering is tentatively scheduled for the fourth quarter of 2008.